A place I have recently discovered in Berlin is Rummelsburg, a neighborhood kind of located behind Ostkreuz, the big train station in Friedrichshain. I go for walks or bike rides there. 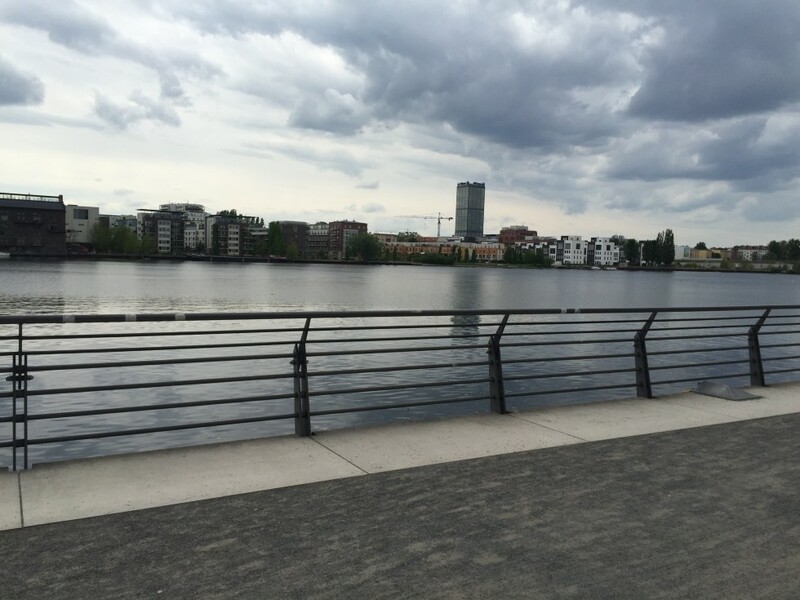 Rummelsburg is beautifully situated by the Spree, and in stead of a river, the Spree more loves like a big, amazing lake, and you definitely get the feeling that you are no longer in Berlin. 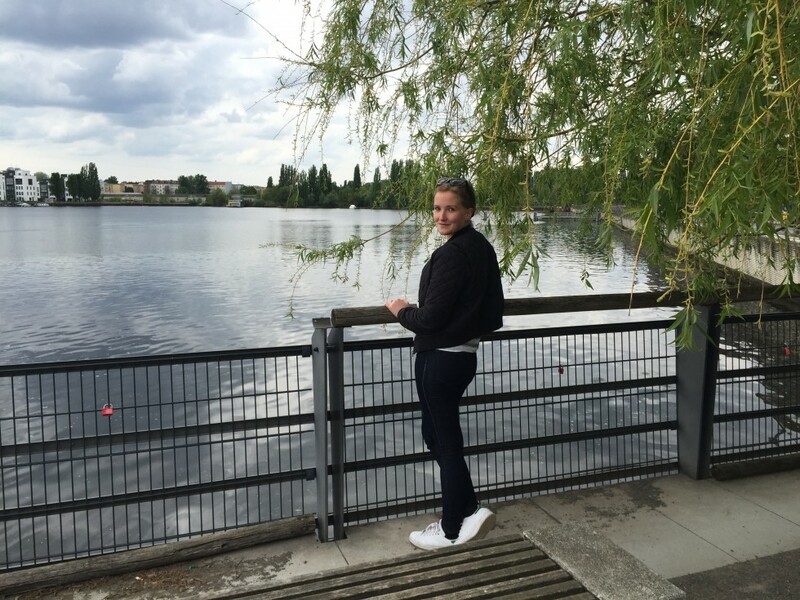 Rummelsburg is quiet, beautiful, and very country side like. I really enjoy going here, because growing up in Copenhagen which is such a small city, meant that I always had very easy access to water, the sea, and some kind of nature. 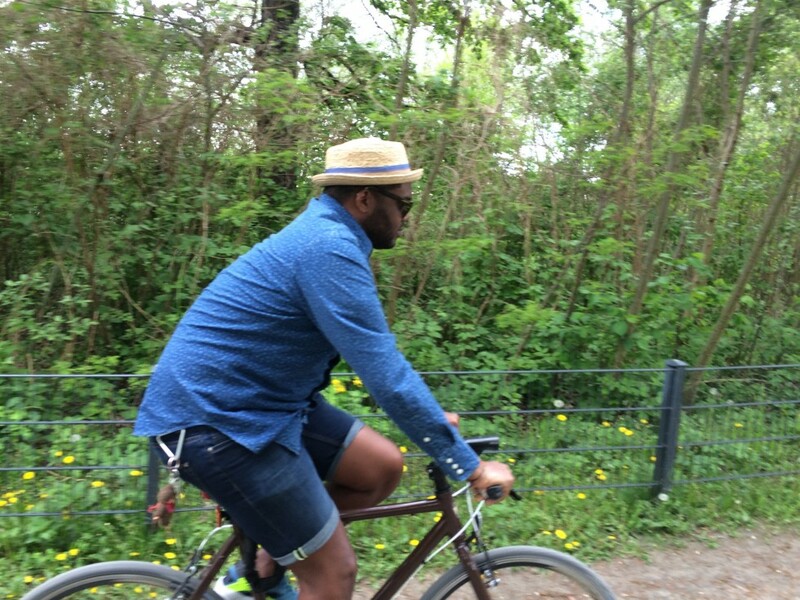 Of course Berlin is filled with amazing parks, but going to an authentic place with real nature, can sometimes seem hard without having to go on a train or by car. 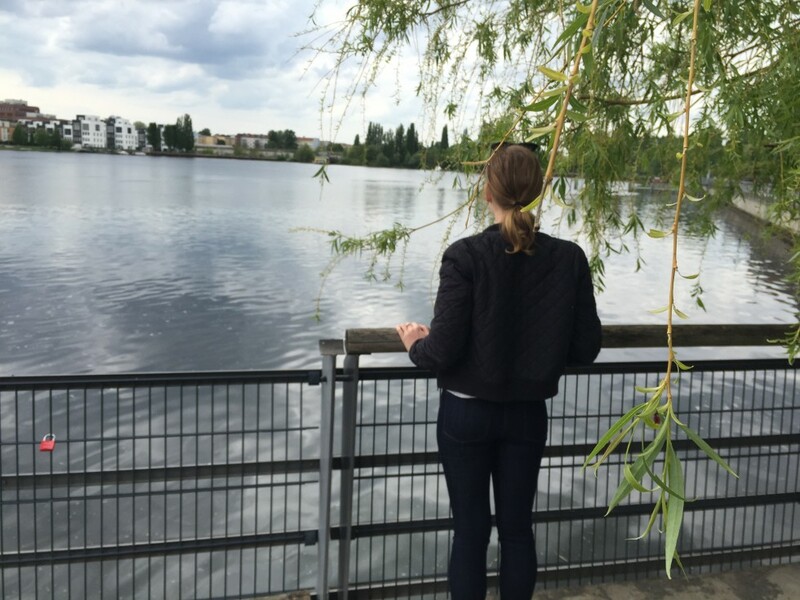 Therefore I was so happy when I found Rummelsburg, because it fills the spot for that quiet place I was looking for in Berlin. 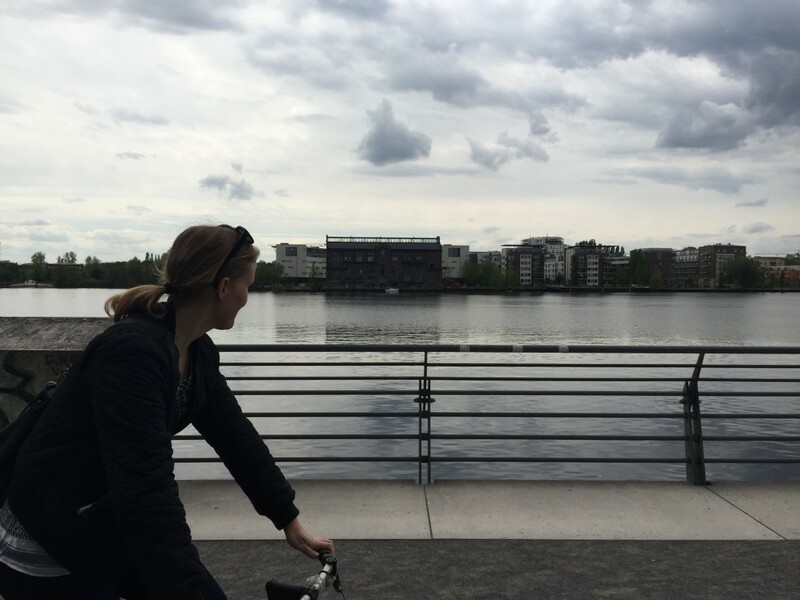 In Rummelsburg you will see cool architecture in form of new, talk townhouses, a nice boardwalk made of wood with benches and places to sit that invites by passers to sit and look at the Spree. 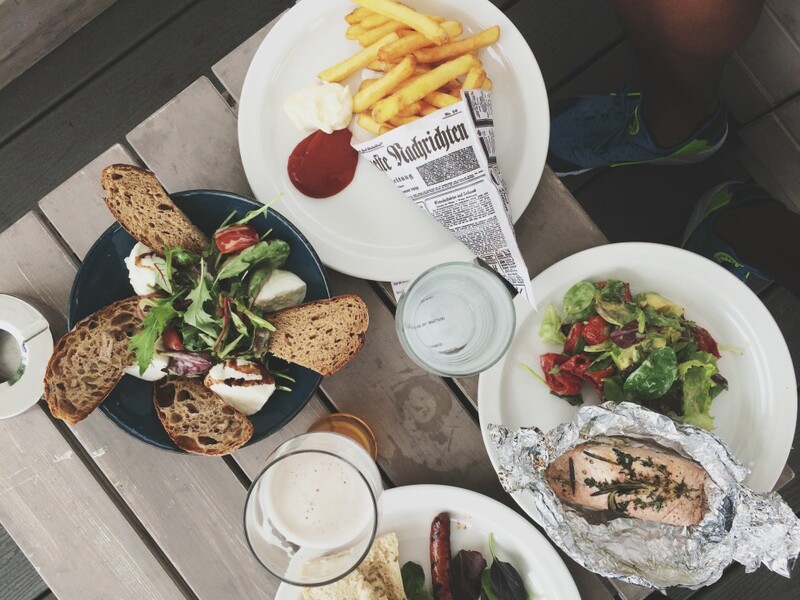 If you bike even further you will find some old buildings that contain creative businesses, a boulder place, a place to rent boats to sail the Spree for a couple of hours, and last but not least, you will find Hafenküche. Hafenküche is a great restaurant, not only does it have nice and cosy interior, a great look at the beautiful nature and the water, no – Hafenküche also has great food served by the nice and friendly staff. 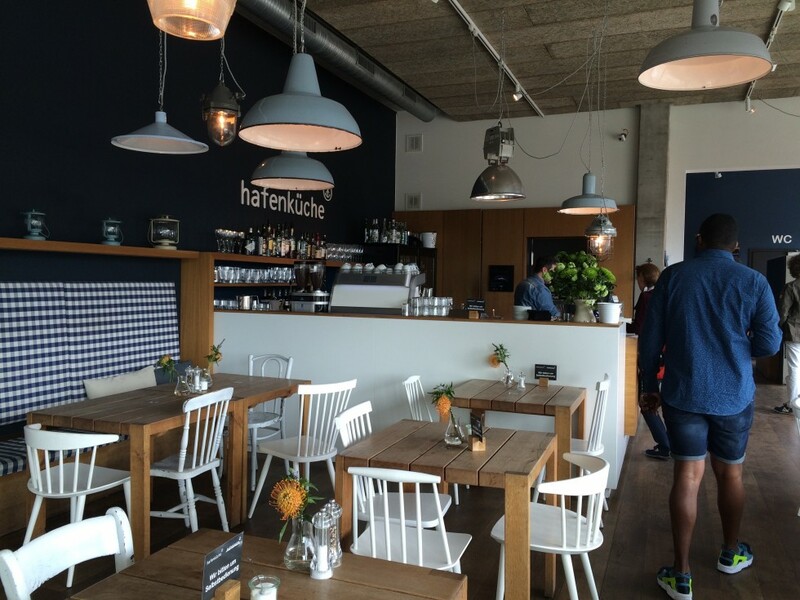 On Saturdays and Sundays you can come here for a great brunch, for example pancakes shaped like little hearts, for weekdays for simple food like burgers, sandwiches, salads, and cake, and for dinner Hafenküche also has traditional food, potatoes, fish or meat. 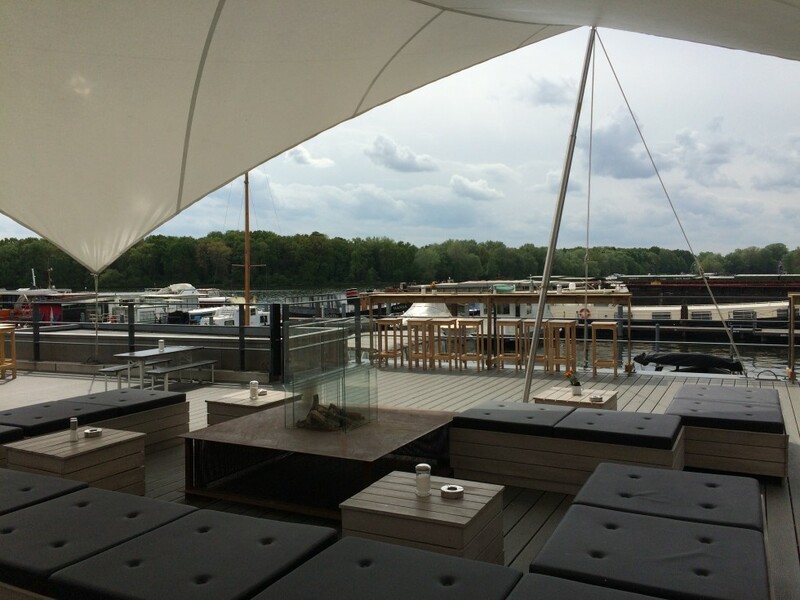 If the sun is shining, Hafenküche has an outdoor area with lounge furniture, and if the weather is not that great, don’t be afraid, it is also very nice to sit inside.